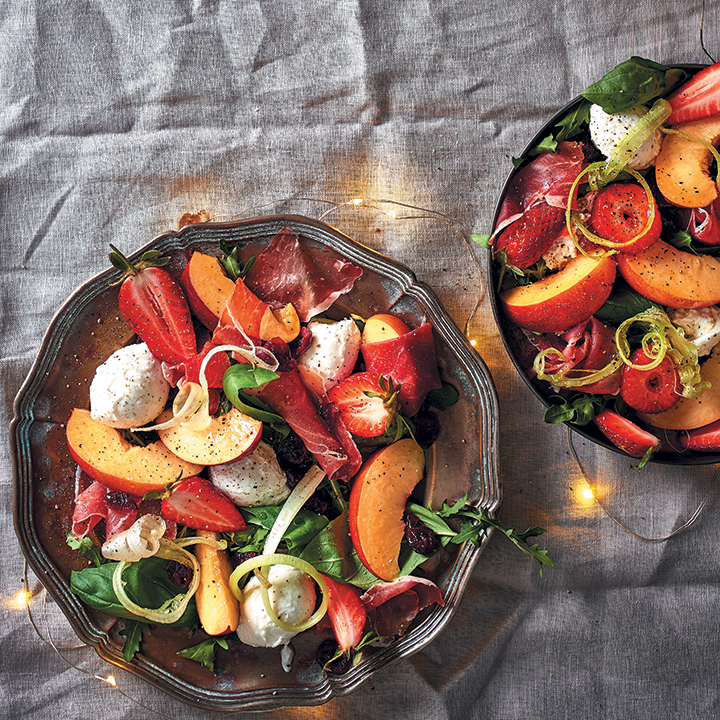 Peach’s silky smooth, sappy sister with a youthful glow is making her way into our festive spreads this summer – this is one of our favourite nectarine salads. To achieve the curly celery effect, soak the celery in a large bowl with ice cubes and water (making sure the water completely covers the celery), about 15 minutes. Remove from water and gently pat dry with paper towel. Toss all of the ingredients together in a large bowl, drizzle with olive oil and season to taste. Transfer the salad to a platter or individual plates and serve.